We provide comprehensive storage options to suit any requirement; whether you need it as part of a move or just to make space at home or at work, we can take care of it for you. Access to a quality and secure storage facility is an increasing requirement, even for domestic home moves. Many of our clients sell and move out before they buy or have to accommodate staggered dates to keep a chain together. Our warehouse storage provides a cost effective and simple solution, with dry, secure and carefully maintained facilities available to store almost anything for a single day or several years for both domestic and commercial clients. With containerised storage, your possessions are moved from your home straight into our specialised container lorries and once loaded, the containers are sealed and unloaded fully into our warehouse until they are ready to be delivered to your new property. Your possessions are only moved from home to container to home and with your goods expertly packed inside our containers; they should be in as good a shape as before we moved them. We always make a detailed inventory of everything we store and hand you a copy when we collect from your home. Fitted out with an intruder alarm system and CCTV cameras, our storage site is monitored regularly throughout the day by our team, with alerts and video streamed directly to the homes of our managers and directors overnight. Securely gated and locked up overnight, our warehouse is highly secure and fully insured for fire and other damage. We store archives for several companies and can store any number of archives, from one box to several thousand. 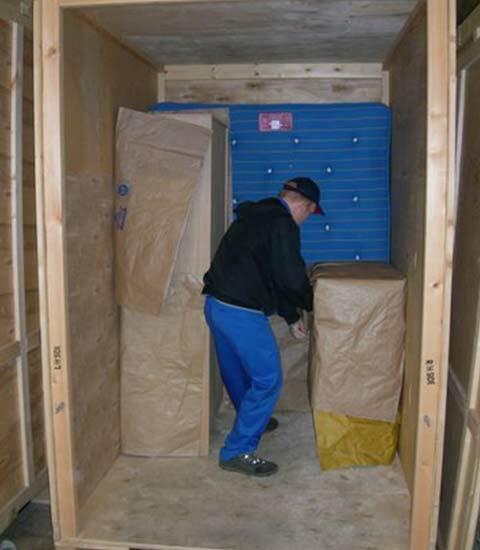 As removals and storage experts, we also carry out a daily collection and retrieval service. Our warehousing team come experienced and fully qualified to provide a complete warehouse storage service. Paying close attention to health and safety, we also employ certified fork lift drivers and provide training such as NVQs in essential warehousing skills. Client satisfaction is incredibly important to us and we are proud to be highly recommended by our previous clients; in fact, over 98% say they would tell friends and family about us! With over 70 years’ experience in removals and storage, we are also members of the British Association of Movers and Fedimac for your complete assurance of quality services from professional removals experts. Based in Ashford, we provide comprehensive storage options to homeowners, schools and commercial businesses across Kent and the South East. We have helped customers relocate from Folkestone, Canterbury, Tenterden, Romney Marsh, New Romney, Lenham, Ashford, Staplehurst, Kingsnorth, Chartham, Barham and Charing. No matter what your requirements for archive, containerised or pallet storage put it in the hands of the team at Stranks Removals; contact us today and we can arrange a no obligation quotation with one of our warehouse storage team.